The Inside Turn is Hunt Club's very own blog. Explore our take on the equestrian lifestyle, who we're inspired by and the gear we love. The Inside Turn is Hunt Club's very own blog. A space for exclusive content from the creators of your favorite equestrian lifestyle brand. 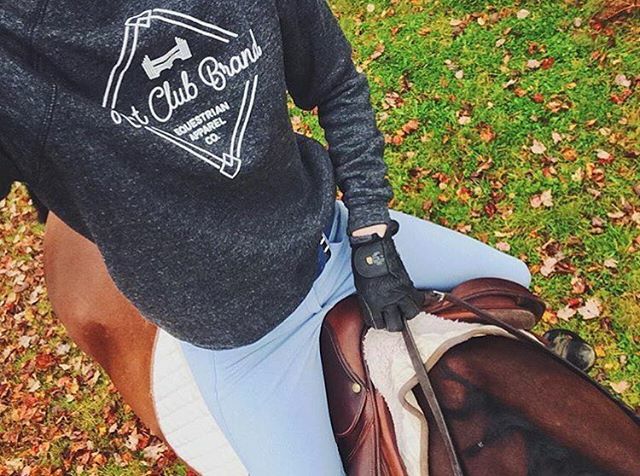 Explore our take on the equestrian lifestyle, who we're inspired by and the gear we love. Good things come in small packages. Hunt Club is owned and operated by mother/daughter team Sara & Debra Ladley, and runs with the help of a small but mighty crew from our studio office just outside of Pittsburgh, PA.
Our values reflect those of a business started by a band of equestrians and outdoorswomen, and the timeless yet spirited style they promote. The approach we take towards product design demonstrates a bias for clean, classic lines, playful details, and long-lasting quality over trendy shortcuts. Our designs are inspired by the things we love - early morning rides, adventures off the beaten path, and the perfect cup of coffee. We strive to create clothes and accessories you’ll want to wear again and again, and that hold up to whatever the elements can throw at them. A dedication to building the best products, designing with integrity, and using business to inspire good sportsmanship and horsemanship can be found at the heart of everything we do at Hunt Club, and we’re thrilled to have you along for the ride. Sign up with your email to receive fresh news and updates delivered straight to your inbox. We always respect your privacy. We never send spam, only rad Hunt Club news, updates & special offers you can't find anywhere else.